PDF files are difficult to handle. Scanned PDFs are even harder to work. Because they are basically images. In general, all the texts and elements inside a PDF file are not editable, unless you can turn them into editable Word documents. Is there a way to convert a scanned PDF to Word? Thanks to OCR technology, there are actually several ways to do that. In this article, we're going to show you four different methods to help you get the job done. Depending how complex your scanned PDF files are, the best way to convert may vary. If your PDFs contain sensitive or confidential data, we recommend method #3 and #4 which are software that can run offline. What is OCR & Why You Need It? 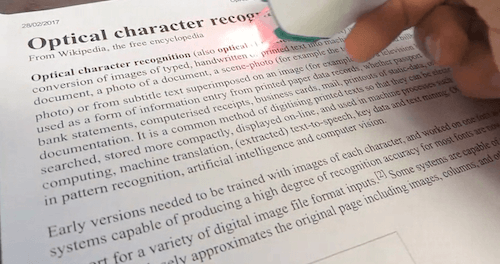 OCR, short for Optical Character Recognition, is a technology that helps convert a scanned PDF file or image into a searchable document. For example, suppose you have a paper receipt from a grocery store that includes an extensive list of items purchased, and you need to record all the items in your computer. You can first scan the receipt using a scanner and save it as a PDF file or an image. With OCR technology, you can then convert the scanned file to an editable Word document. After that, you are able to directly copy all the texts and numbers in the digital receipt and paste them anywhere you want. Without OCR, you'll have to manually type and record the data which tend to be very time-consuming. Okay, now you understand what OCR is. Let's move on to the topic: 4 OCR tools you can rely on to convert scanned PDFs into Words. First off, you need to have a Google account. If you don't, register one here. Log into your account. Open a web browser (Chrome, Safari, etc.) and visit Google Drive. On the top right corner, click the gear icon for Settings. On the new pop-up window, check this option "Convert uploaded files to Google Docs editor format"
Click the blue "Done" button. Next, on the left pane, click the red "New" button > File Upload > select your scanned PDF file > click Open. Once uploaded, select the PDF you just uploaded, right click and move to "open with", then select "Google Docs" option. Wait for a few seconds, the texts on your scanned PDF will be extracted below the image file. That's it. In a few Google searches, you'll find a wide range of such online OCR services available on the Internet. We haven't tried each of them, as it's unlikely that we can. But we want to remind you the security concerns these options may impose, especially those services that do not disclose how they are going to deal with the documents you upload to their servers. OnlineOCR.net — able to extract text from PDFs and images. Output formats include: Word, Excel, Text. Support 46 languages. Max file size: 5MB. Free-Online-OCR.com — just select your PDF file, specify "Word Document" output format, and click "Convert". Soon a downloadable file will be available. PDFToWord.Pro — drag your PDFs (up to 10 files) and drop them to the zone, select the conversion method to be "OCR text recognition" and hit "Convert". PDFelement with OCR can do a number of things. Besides converting PDF files to Word and many other formats, it also allows you to create PDFs, directly edit scanned PDFs, add/fill forms, secure & sign, etc. To convert scanned PDF files into Word documents, you'll need to get the OCR version which is going to cost a bit more. But the quality of output files is much better than other free alternatives. The program is compatible with Windows 10, 8, 7. 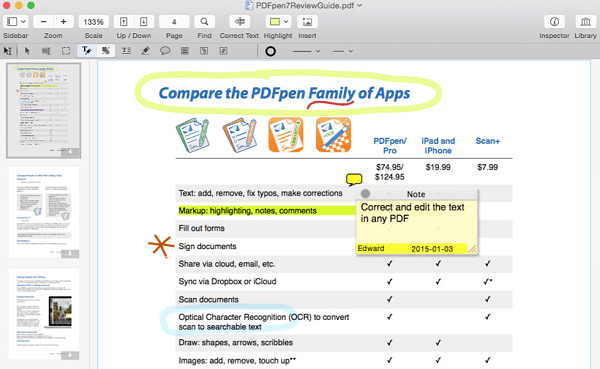 Similar to PDFelement for Windows PCs, PDFpen from Smile Software is the ultimate PDF solution for Mac users. The software integrates a set of small yet powerful utilities into one and allows you to quickly modify and organize any PDF files as you want. 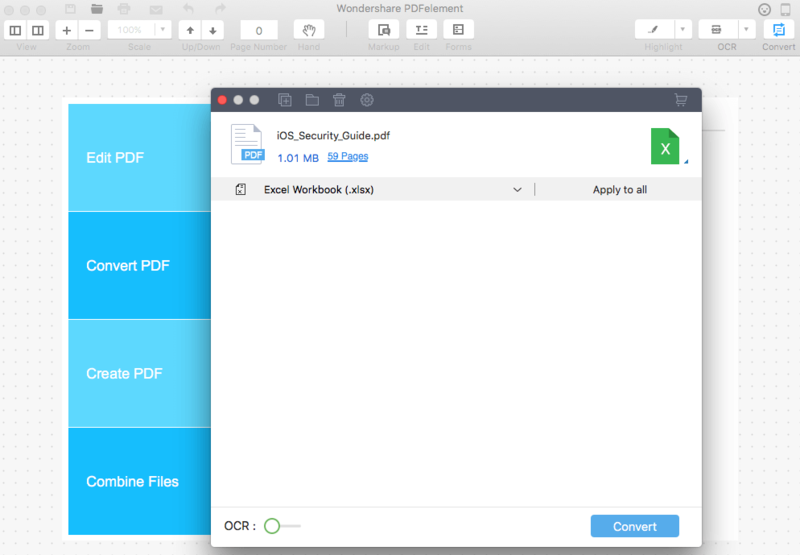 Converting a scanned PDF file to Word doc is incredibly easy. Just install the program on your Mac. Open the app and upload the scanned PDFs , specify the output format to be Word documents, wait for a few minutes and you'll see high-quality editable Word docs. The software is compatible with all major OS X including latest macOS Sierra. These are the four ways we wanted to share with you. As we said in the beginning, the best solution can vary from case to case. Which method(s) do you find most effective and efficient? Or do you find any other awesome solutions?